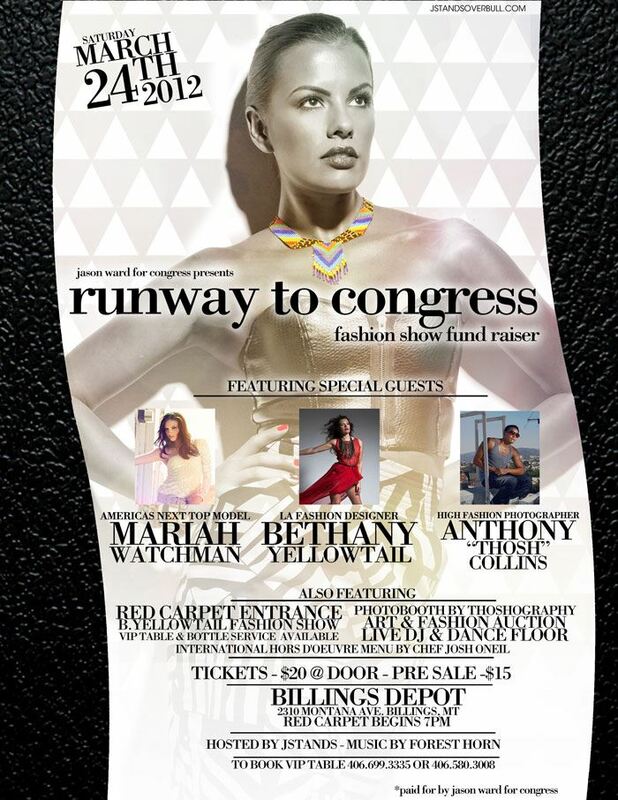 In case you missed it!- Here's the article that was published in ICT about the Runway to Congress event held in Montana at the end of March. Jason Ward kicked off his 2012 election in style, with a little help from Indian country’s next top model. 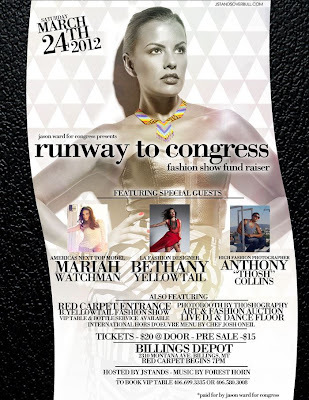 Ward, a Crow tribal member, wanted the March 24 “Runway to Congress” fashion show fundraiser event in Billings, Montana to not only highlight his initial foray into the political arena, but showcase how one could use Native heritage as a source of strength and inspiration. Ward, a Democrat, aims to replace Republican Denny Rehberg in the U.S. House of Representatives. Rehberg is running for the U.S. Senate.